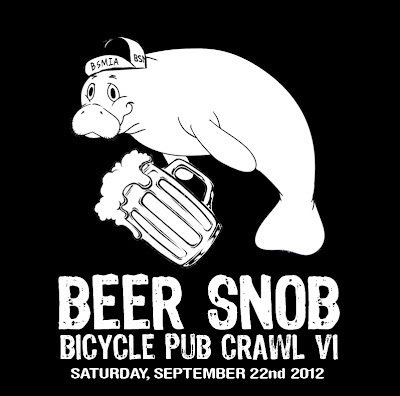 It just seems like yesterday that the good people from Miami Bike Scene talked to me about helping them with some ideas for the first Beer Snob Bicycle Pub Crawl and they are now on the sixth one taking place Saturday, September 22nd. The funny, actually sad, thing is that every time there is one it falls on a date that I already have something going on. From all the pictures and feedback I've heard from both the bars they visit and the people that attend is that is an awesome event. 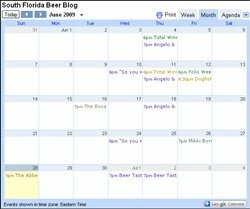 The sixth edition of the pub crawl takes you to a couple of new spots as well as some of the favorite spots from the past. Every bar will have a drink special of some kind to partake in. Here is all info on where and what is happening at each spot. All Abbey house brews $4.50 (Abbey Immaculate IPA, Brother Aaron's Quadruple, and Father Theodore's Imperial Stout). Cash only! How was this? Looks like it would have been great! Any plans to do another? Yes i'm a buff for this one, very intresting and useful for me Good thing. It's a wonderful pub crawl nice! !